What's this? I'd heard about the Girlactik Face Glow from Lustrelux (I think! ), and so when I was in the US in July, I had to pick it up. This is the shade 'Lustre', and it is a pinky gold highlight (definitely looks more pink/purple in the pan so don't be scared!). I hadn't really heard much else about this brand before, but this and the liquid lipsticks are raved about the most! Where do I get it? Looks like you can get it in the UK from Beauty Chamber for £17.95, and if you are in the US, its $25 on the Girlactik page. Swatches? See below. If you want to see it on my face, see my Instagram looks here, here and here. The Pros... This is so so glowy - if you want your highlight to look super strong, then get this! 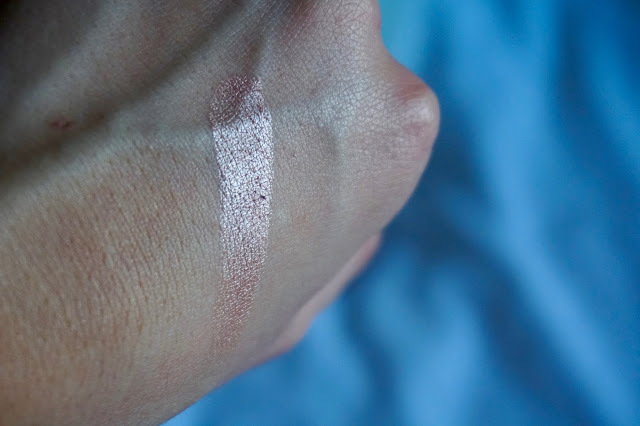 It's so pigmented you only need the tiniest bit, and I find it looks especially good on the tip of the nose as it gives a beautiful pop of highlight. I find the colour so unique, as it has a slight pink tone, so I always use it when I do a pinky look as it really complements it. The packaging is so sleek for a 'drugstore' product, and it feels quite sturdy so I imagine it would be okay for travelling - it did survive a flight back from the US! The Cons... For what is considered a drugstore product, it is quite pricey, especially if you're trying to get your hands on it from the other side of the Atlantic! However, I have to say it really is worth it, as I just can't fault the formula. 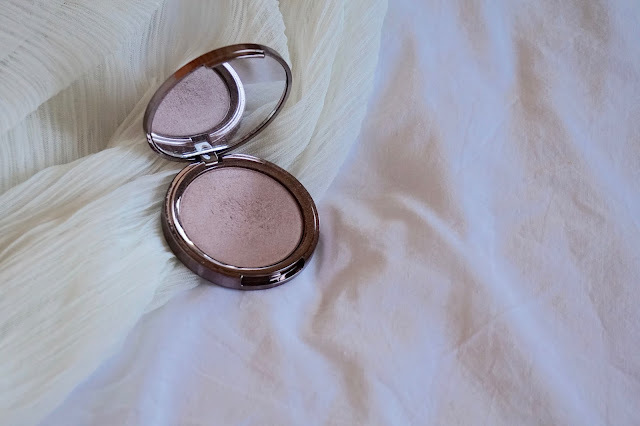 If you're looking for a subtle, everyday highlight, this probably isn't your guy, but if you want that super glowy, dewy skin, look no further! What do you think? Have you tried this before - or anything else from Girlactik? Let me know in the comments!